This is Chih-Hsien Tseng. She is a Taiwanese guitar student, studying in Germany. 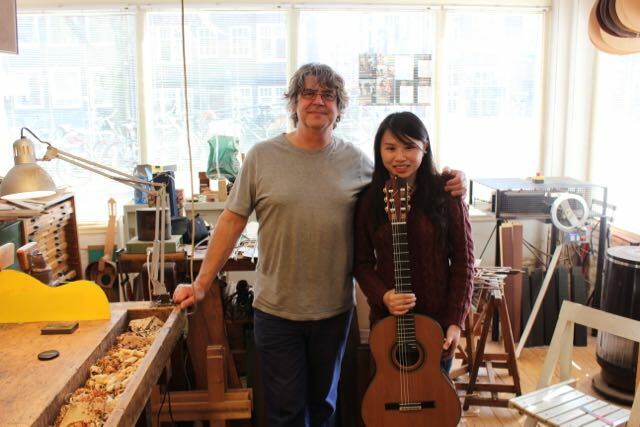 Together with her friend and collegue guitarist Arne Willems she came to the workshop to pick up her new guitar. Next month we’ll meet again. In Taiwan, where her former teacher, Alfredo Huang organizes a festival where I’m invited to give a lecture.